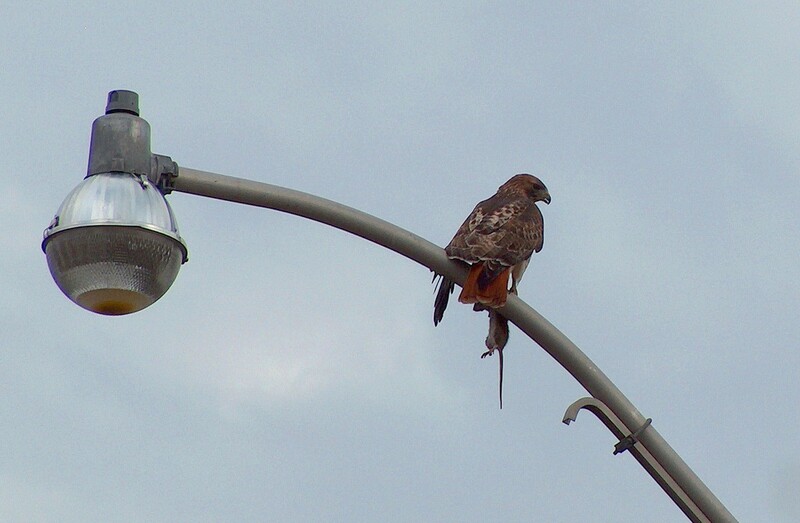 There are many things one can see while walking on the streets of Toronto, in Ontario, but in this guest post, Michelle and Arthur share their pictures and their story about a Red-Tailed Hawk (Buteo jamaicensis) that they recently sighted sitting on a city lamp post while holding a rat in its claws. Arthur and I went for a walk in Toronto because it was such a warm, sunny day. We’ve been cooped up for too many weekends when the weather has been nasty and cold. 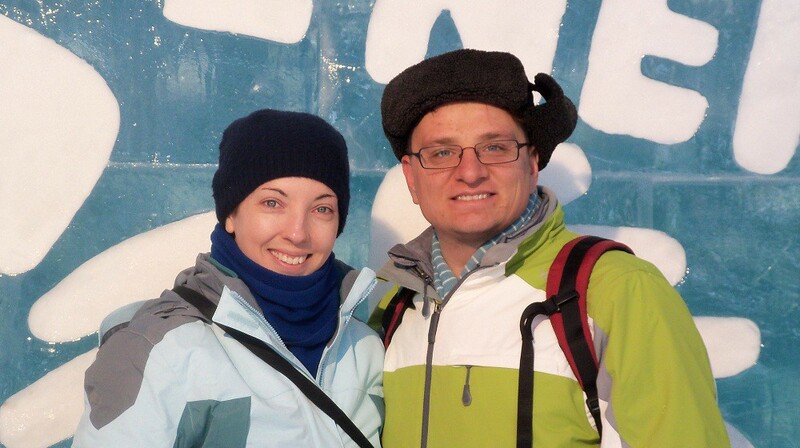 We needed some fresh air and sunshine. Walking south from our Kensington market apartment in the downtown section of Toronto, we found ourselves on Ryerson Avenue near the Theatre Passe Muraille. 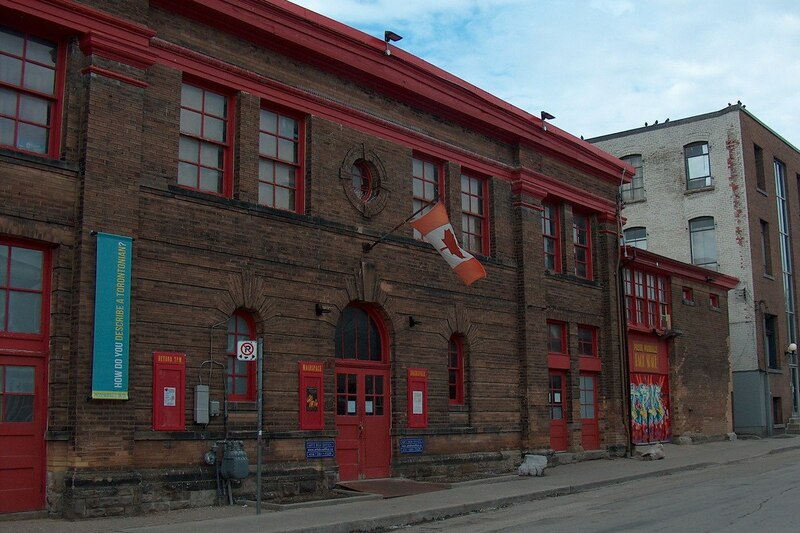 It is a pretty cool looking building; it actually used to house a bakery. Our attention was drawn away from this heritage site when we spotted a massive bird of prey flying at full tilt in the air above the street. 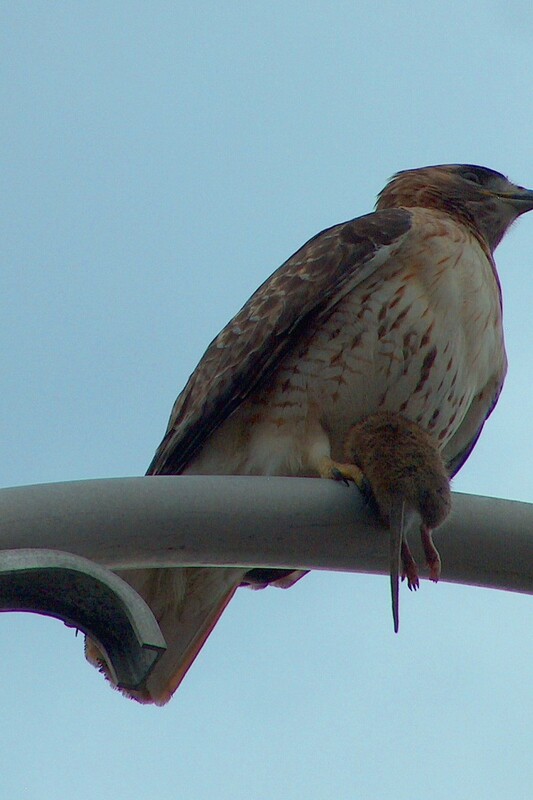 We were really excited to see that it was a huge Red-Tailed Hawk with a big fat rat in its talons! 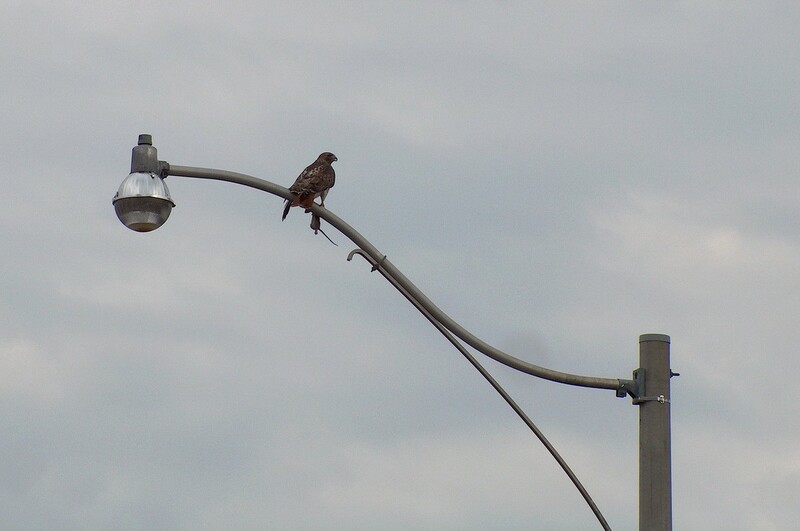 Luckily, it landed on a street light, and we were able to get a closer look. 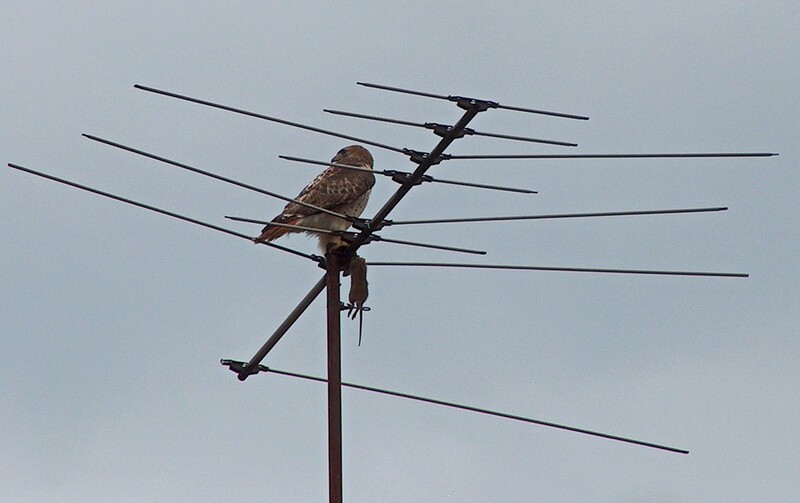 The street below the red-tailed hawk was pretty busy with people and cyclists passing by so it didn’t stay too long on its perch and instead moved to a TV aerial on top of a house further down the street. Finally, it took off and headed in the direction of a big school rooftop where I’m sure it was going to have a little lunch!